The toughest of the Draped Bust Small Eagle die marriages. There are somewhere around 30 examples remaining. Variety Attribution : Obverse-15 stars. Date close and high, with 1 and 7 close to curl and bust. Star 15 touches drapery. Star 9 very close to upper right serif of Y. Die begins to break up, with one of the earlier cracks from edge through star 2 to the curls and cracks continue to develop, until in its final stages there are numerous and extensive breaks. 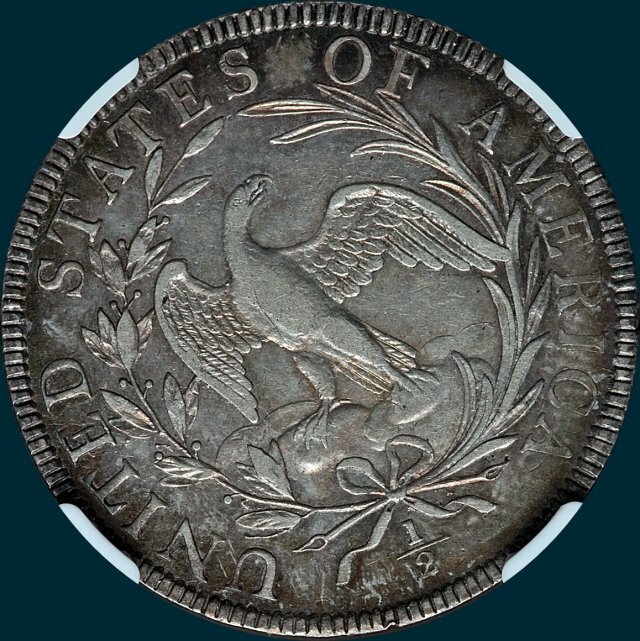 Reverse- A leaf extends nearly across base of second T in STATES. A leaf also extends across the base of F to edge of serif. 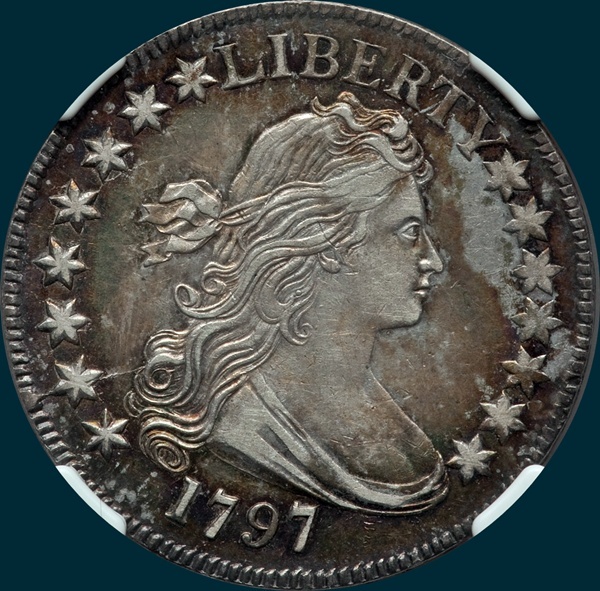 Other features similar to reverse A from 1796 and 1797 O-101: Fraction 1/2 well centered below ribbon knot. 10 berries on laurel branch.